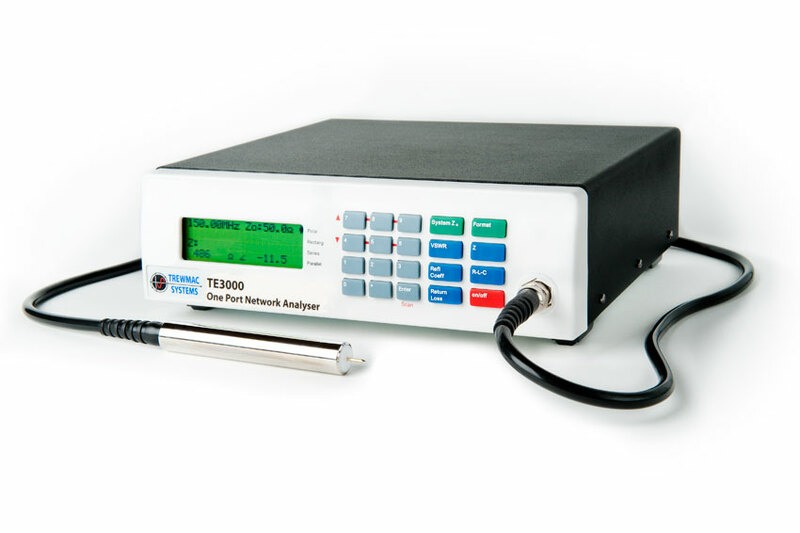 The TE3000 is a versatile RF measurement tool for the professional, the educator and the novice. It is easy and intuitive to use and does not require user calibration. Measurements can be taken at the tip of the probe, much like an oscilloscope, or the unit can re-calibrated to the end of a coaxial cable, or the optional tweezer attachment. The TE3000 Vector Impedance Analyser is an improved portable desktop instrument designed for very high accuracy impedance measurement. It boasts a larger frequency range with smaller resolution and faster data rates than its predecessor - the TE1000. The oscilloscope style probe style construction and user variable output signal make it ideal for 'in circuit' impedance characterisation of small signal devices without the risk of damage to the DUT. These types of measurements can be very difficult to obtain using a normal VNA. An N type adaptor is also supplied with the unit allowing direct connection to an N type female connector for standard network analysis. The unit is supplied factory calibrated to the tip of the probe, and is self checking on start up. This feature means the unit is ready to use straight out of the box and does not require recalibration until the recommended period has elapsed. For the advanced user, several calibration kits are available to custom calibrate out the effects of test jigs and coaxial cables. The user can then switch between factory and custom cal at will. The TE3000 software provides a powerful set of formats and charts for fast analysis, and interfaces with a simple USB. Features include smith charts, multi series plotting, difference plotting, curve smoothing, velocity factor, electrical length, characteristic impedance, and time domain reflectometry. Results may be saved and retrieved, or opened in excel. Display formats include Impedance, Admittance, Reflection Coefficient, VSWR, Return Loss, Mismatch Loss, Equivalent Series or Parallel RLC and Quality factor.